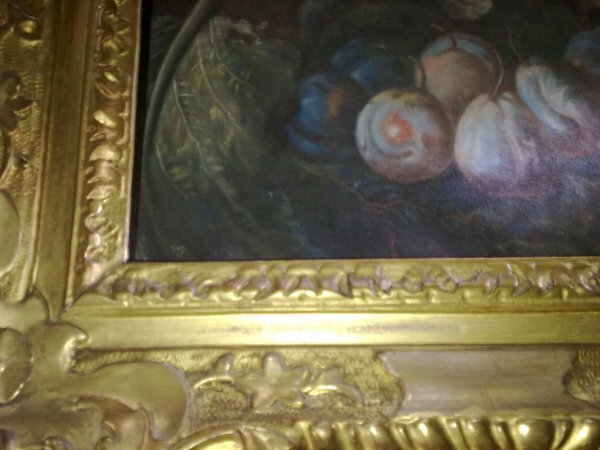 Framed pastel: A Market Woman with Fruit, unknown artist, eighteenth century. Pastel on paper. This decorative picture of a market trader asleep at her stall shows how effective the bright colours and soft texture of pastel can be. 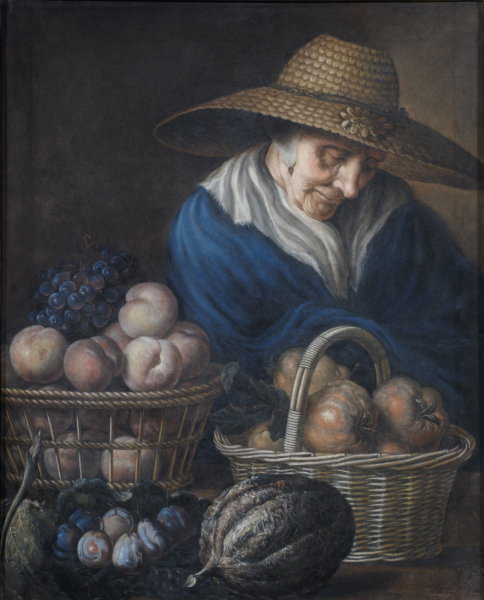 The artist has taken equal pleasure in the subtle light-reflecting bloom of dark grapes and plums, the rough, scaly rind of the melon on the right, the fuzzy skin of peaches and the soft wrinkles of the old woman. Although this beautiful picture has been part of the Holburne collection since at least 1863, when it hung in Sir William Holburne’s back drawing room, its authorship is still a puzzle. It may be a copy of an earlier Dutch work.